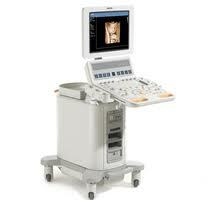 Ultrasound imaging is a modality for viewing breast tissue utilizing soundwaves, rather than radiation. Screening breast ultrasound is recommended in patients with dense fibroglandular tissue, as it provides a clearer view of the internal make-up of breast tissue. Patients with dense breast tissue have 2-4 times increased risk for breast cancer and screening breast ultrasound is an extremely helpful test to further evaluate this tissue. Screening breast ultrasound has been proven to detect small cancers not seen mammographically and is may be performed immediately following your screening mammogram. It is not a substitute for screening mammography; rather, it is used as an adjunct to mammograpy. For more information on dense breast tissue, take a look at Are You Dense.org. Diagnostic breast ultrasound is indicated for evaluation of palpable lesions, breast related symptoms, and abnormalities seen on screening and diagnostic mammograms.